Expert Subaru financing is available for all Wilsonville, OR area drivers! If you are looking for amazing Subaru loans and leasing options, visit Wilsonville Subaru today! We have a finance center with experts trained to find our guests the best deals around. We proudly serve our Wilsonville, Tualatin, Newberg, Canby, and Woodburn area guests and look forward to assisting you today. Our finance experts have years of experience negotiating with the banks to get our guests approved for less. We work with a wide range of credit score to find the best offers available. Each guest’s financial situation is different, and we will create a customized plan to fit your needs. Whether you have good credit, bad credit, no credit, bankruptcy, or divorce, stop by and let our finance experts take care of you. For added convenience, complete our online finance appointment and get approved in minutes. Contact us for more information, and see why so many guests trust us as their local Subaru dealer. Make the Short Drive to Wilsonville Subaru Today! 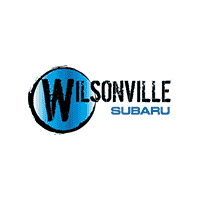 Wilsonville Subaru is one of the leading Subaru dealers in the area, providing new and used Subaru models backed with outstanding service and support. Our sales associates are here and want to get you on the road quickly and easily. You can trust that you will get a wide selection of Subaru models and an amazing deal. We strive to make each guest’s experience a pleasure and are here to assist you. We also have an available service center with technicians to keep your Subaru in excellent condition for years to come. Stop by our conveniently located dealership to take advantage of our current offers and much more.